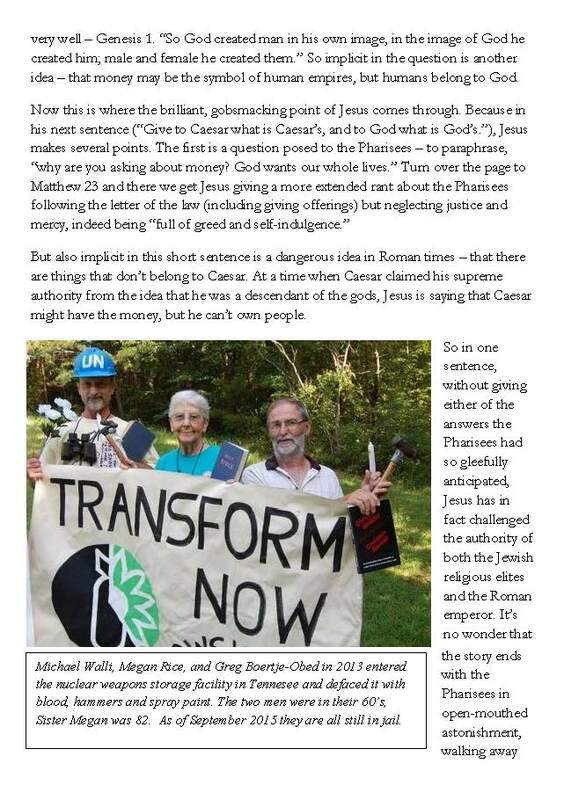 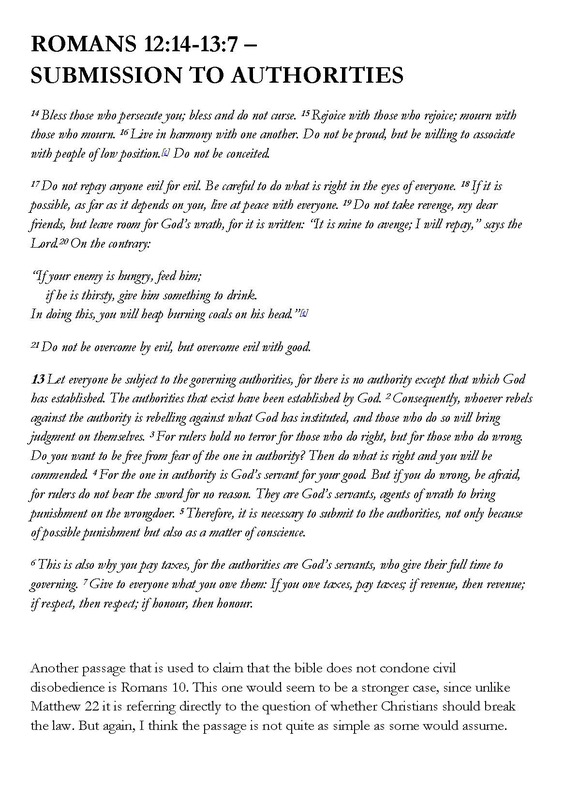 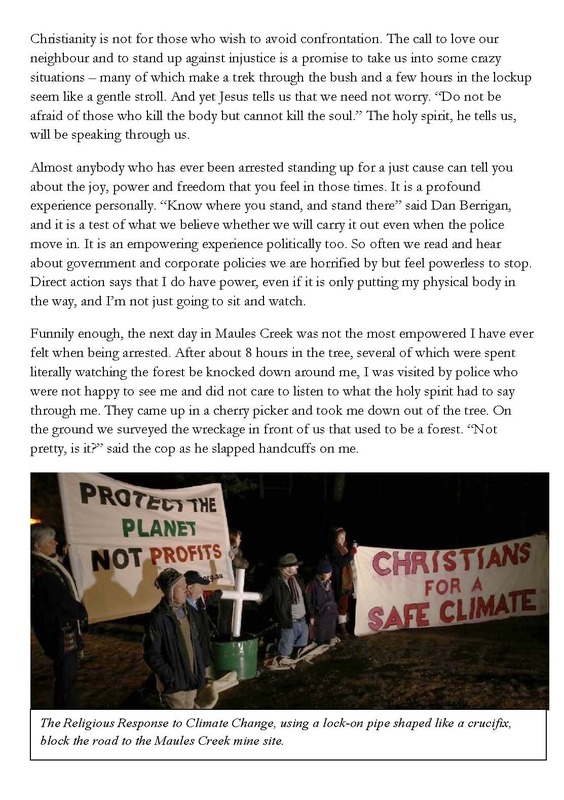 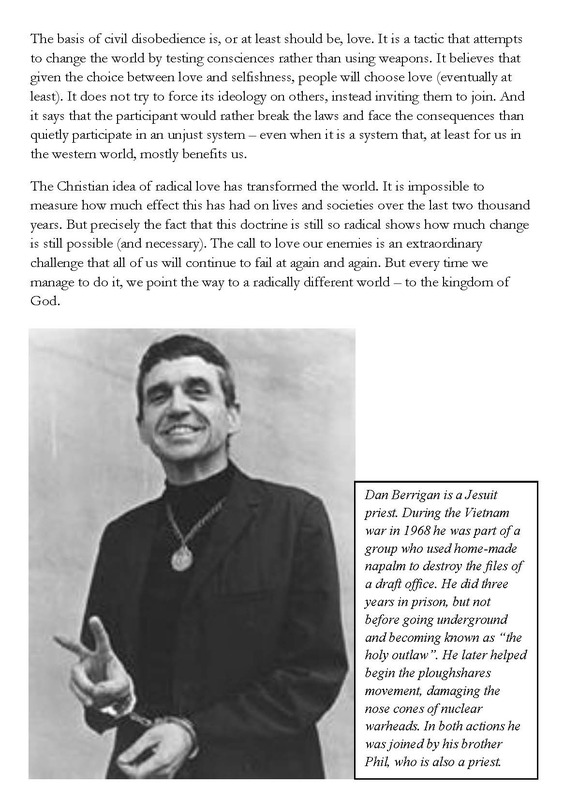 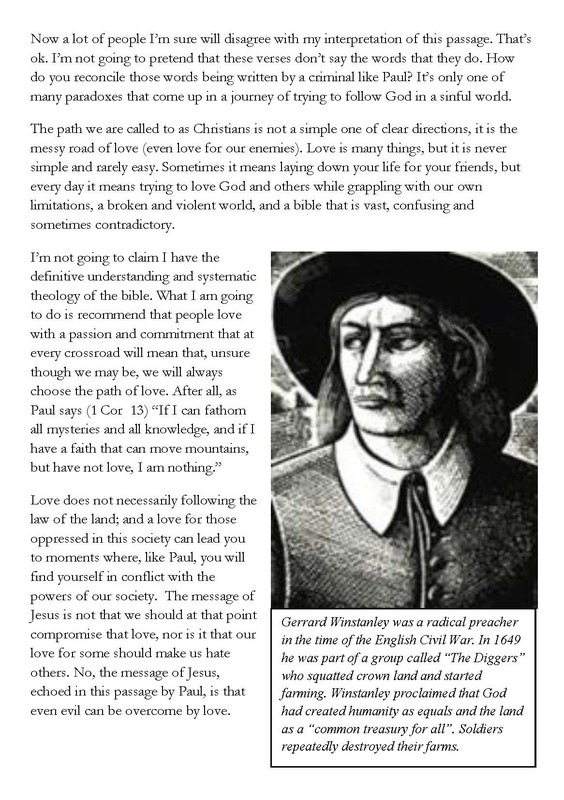 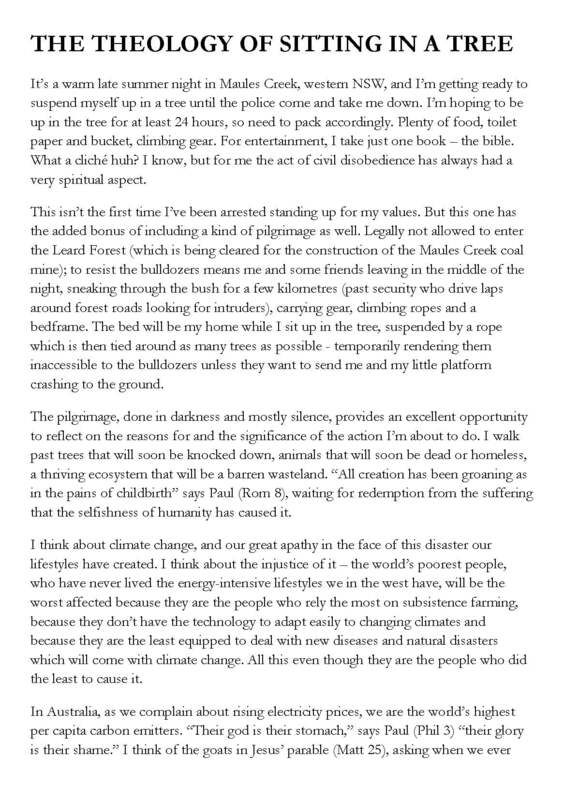 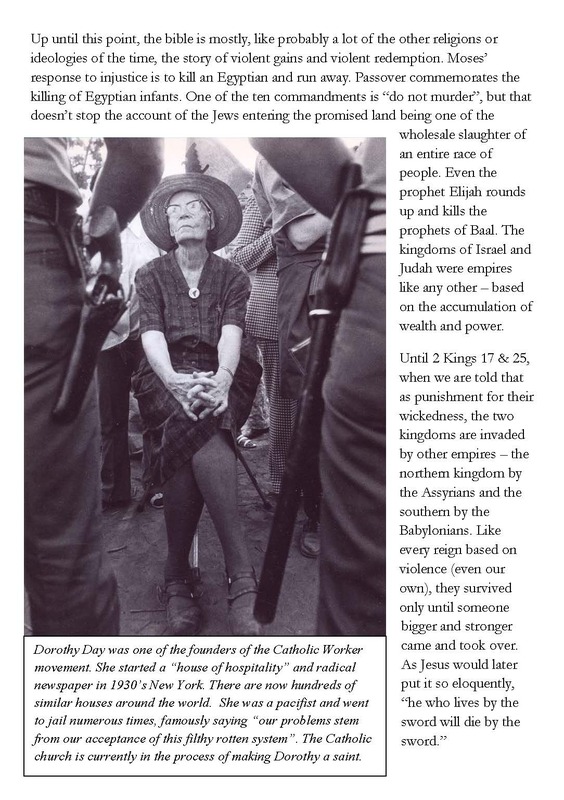 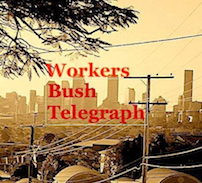 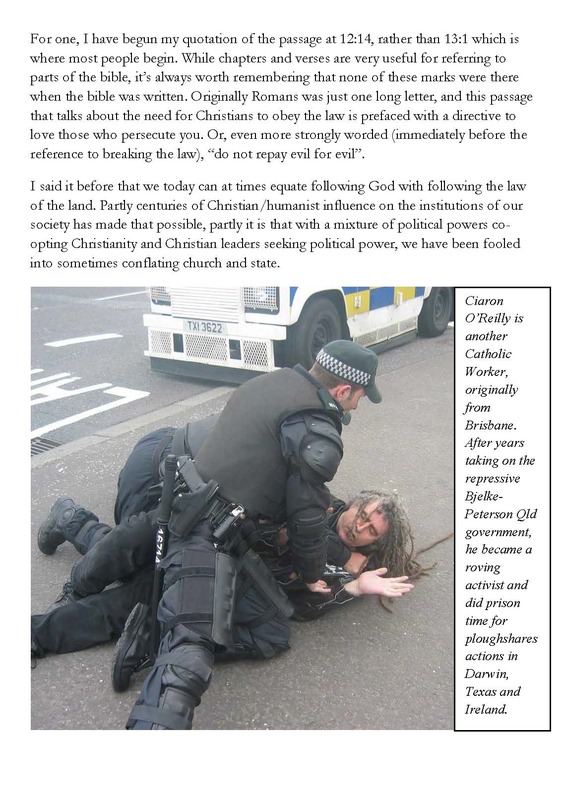 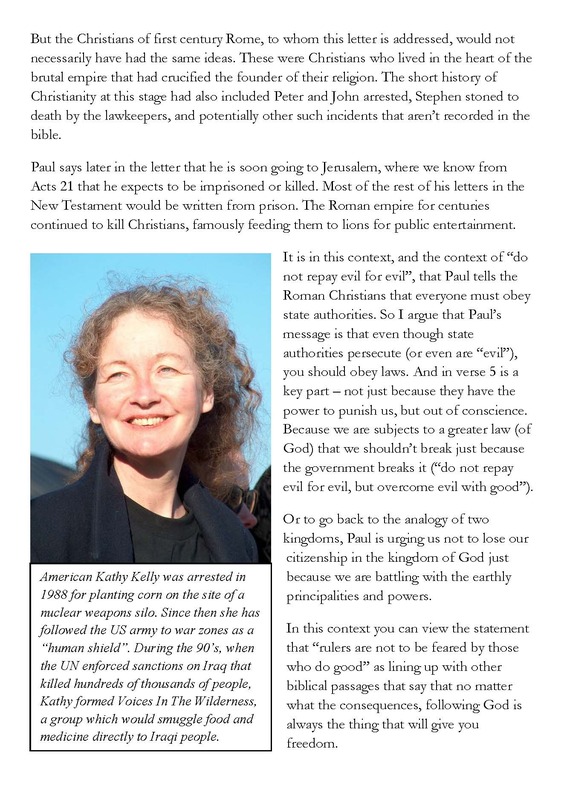 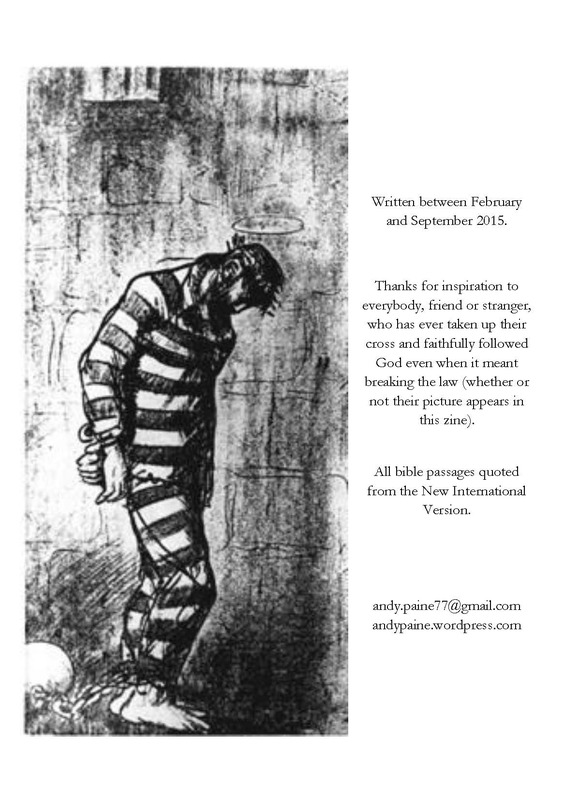 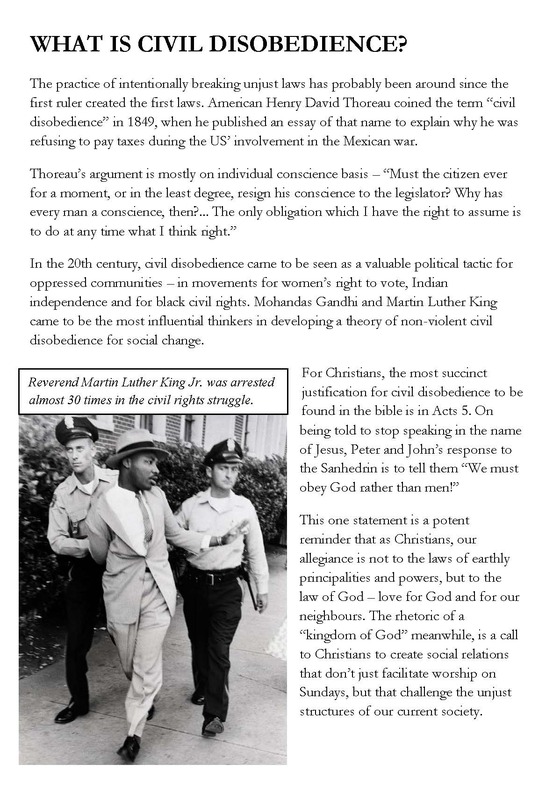 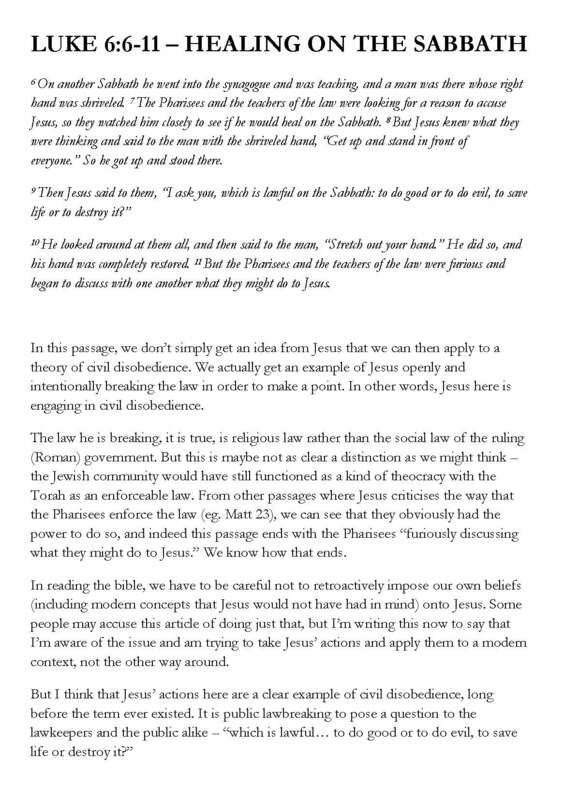 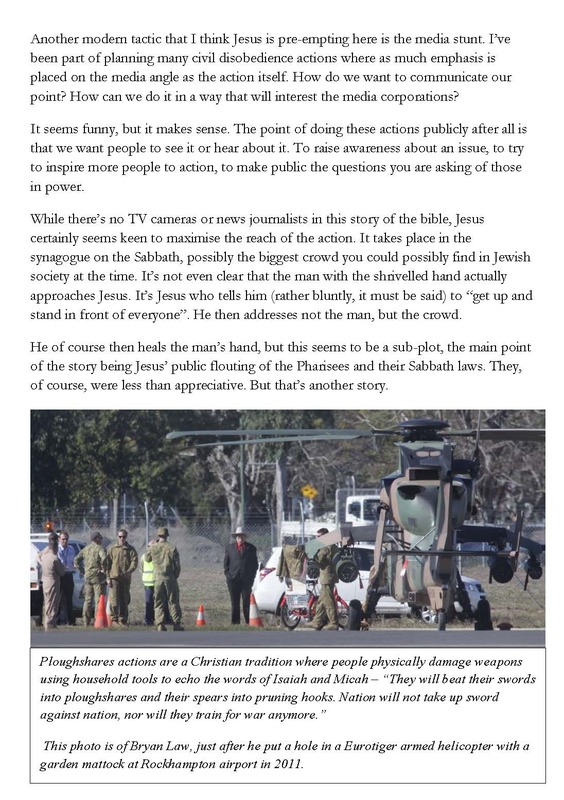 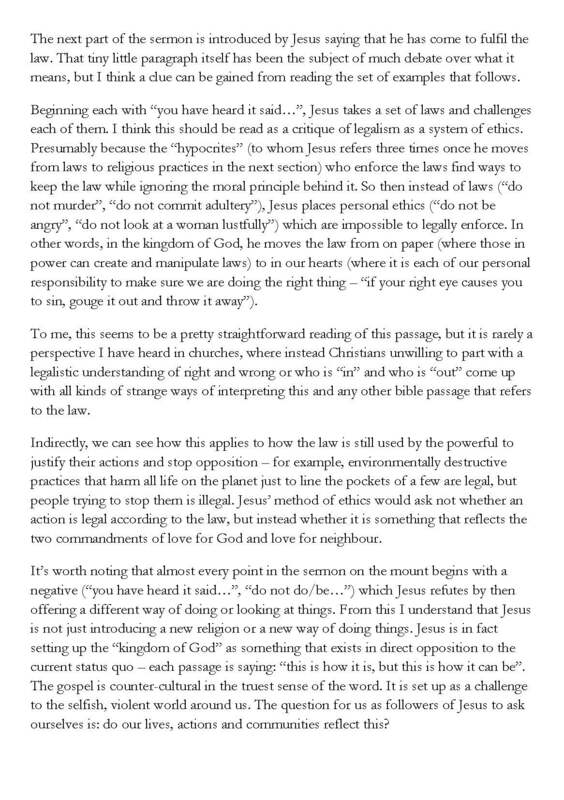 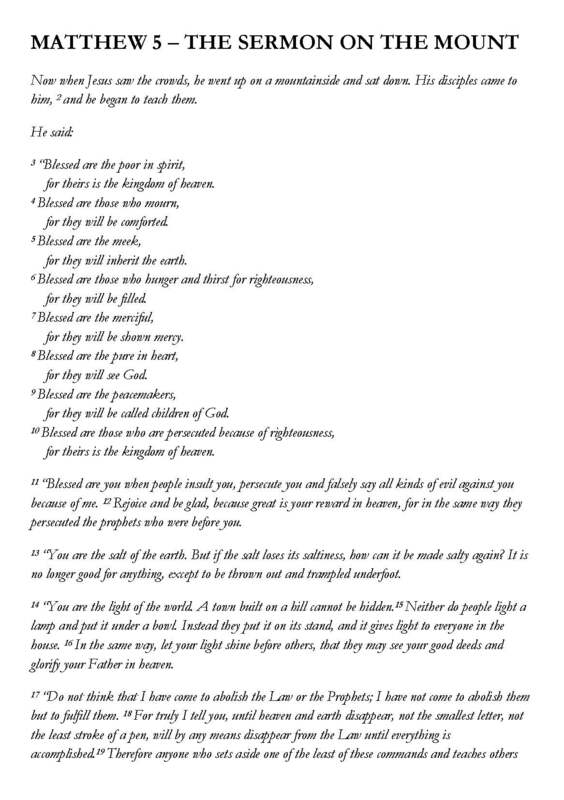 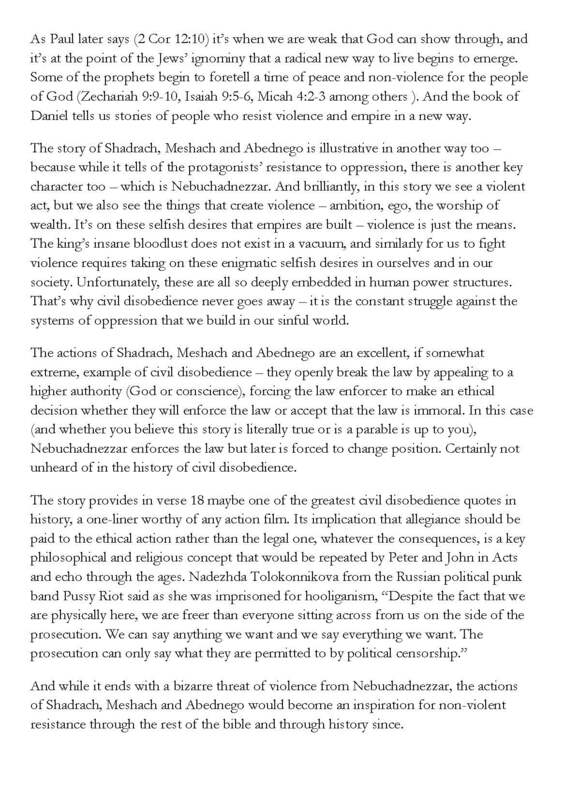 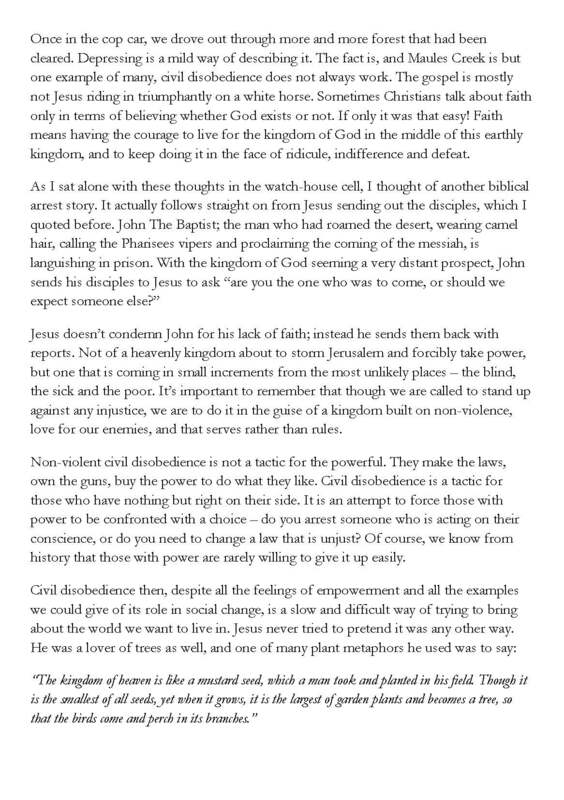 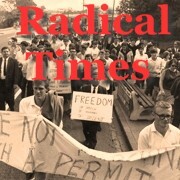 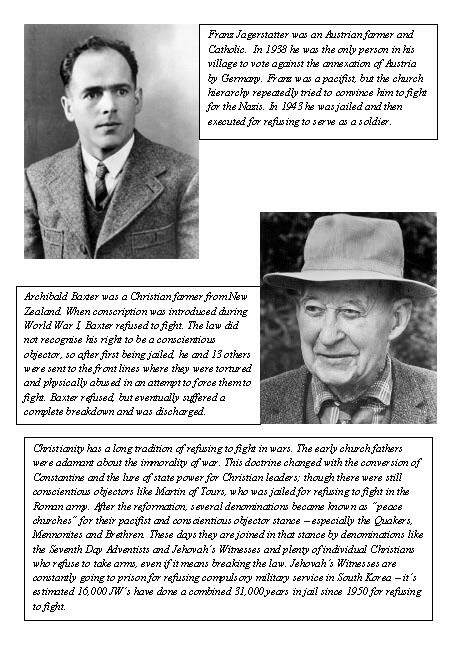 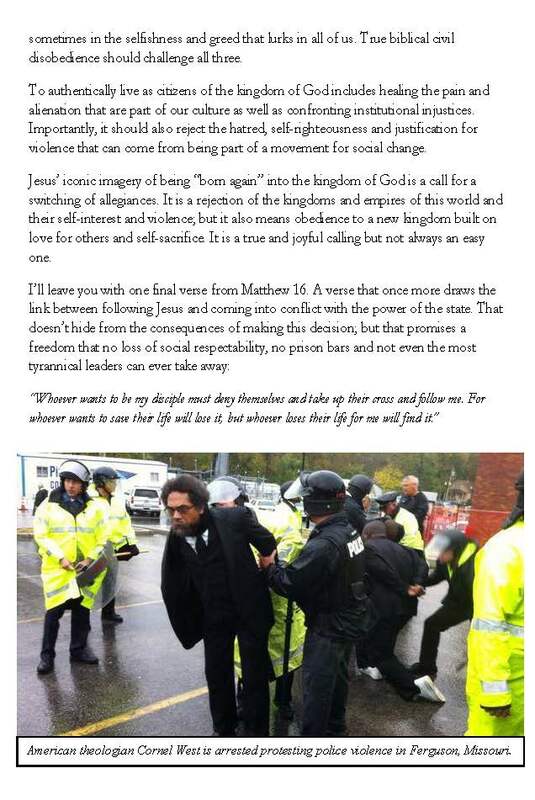 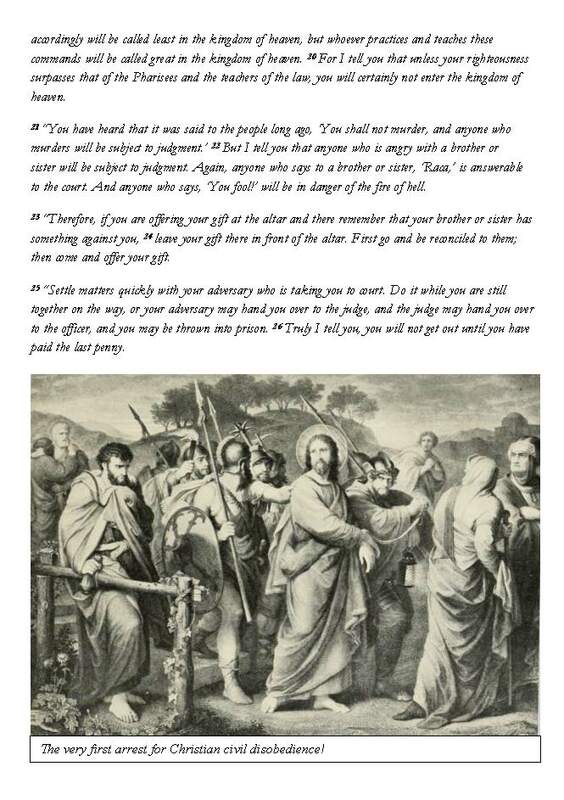 [Publisher’s Note: Andy Paine has written a zine that looks at civil disobedience from a Christian perspective. 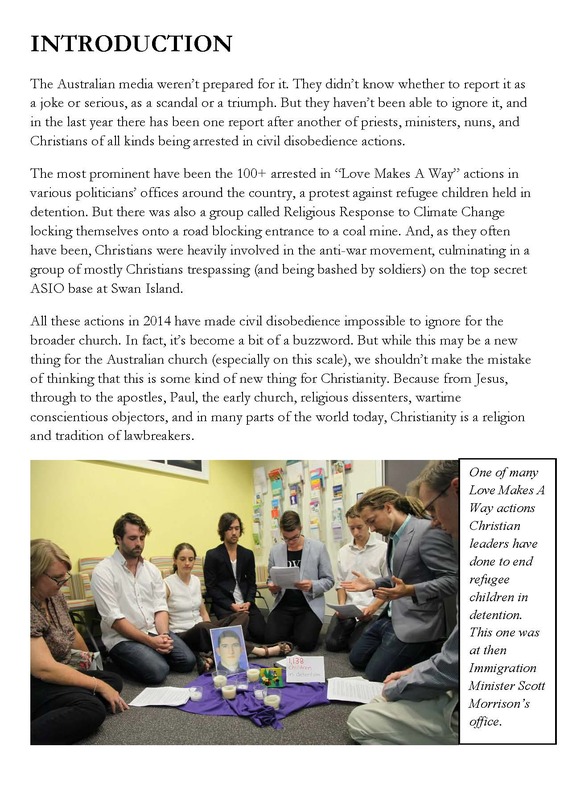 Unfortunately such action assumes that the government has a conscience which, given Peter Dutton’s sermons in the last few days, I think we can safely assume it does not. 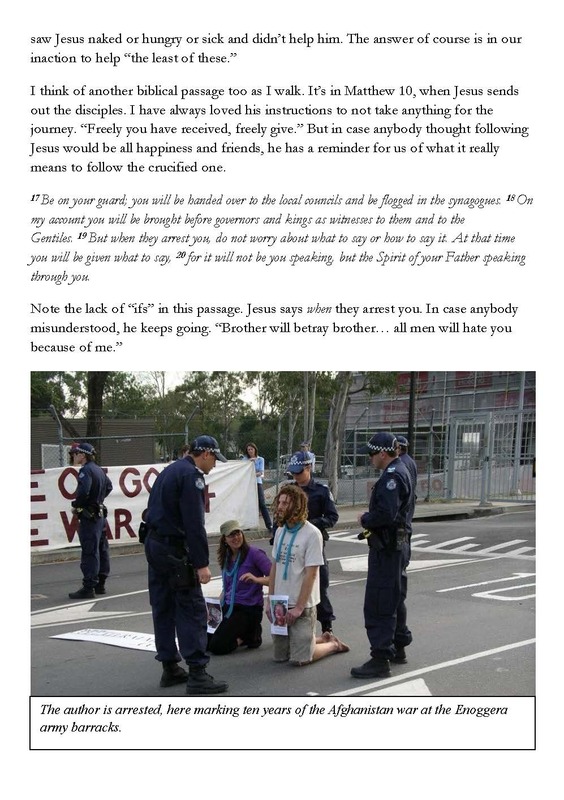 Or put another way, the minister for immigration wrestles with his conscience every day and wins! 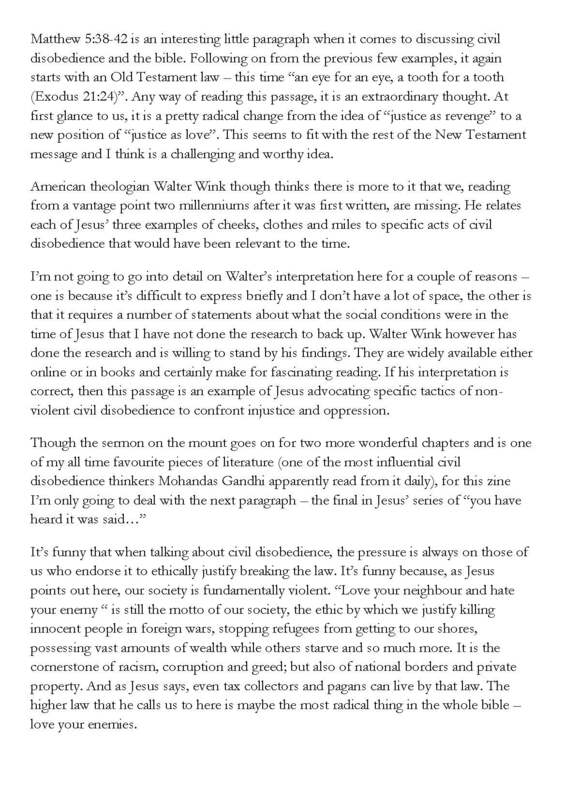 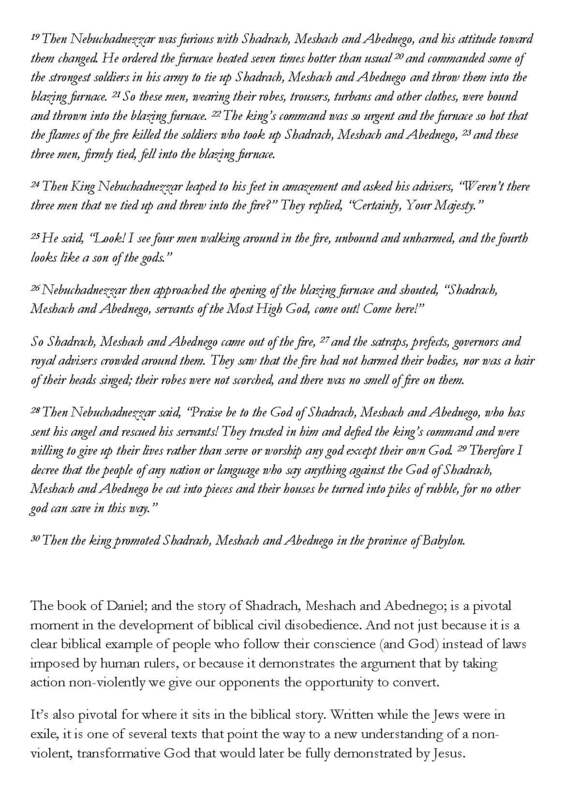 Thnx Andy for this excellent analysis and record of civil disobedience over the past 2000 years. 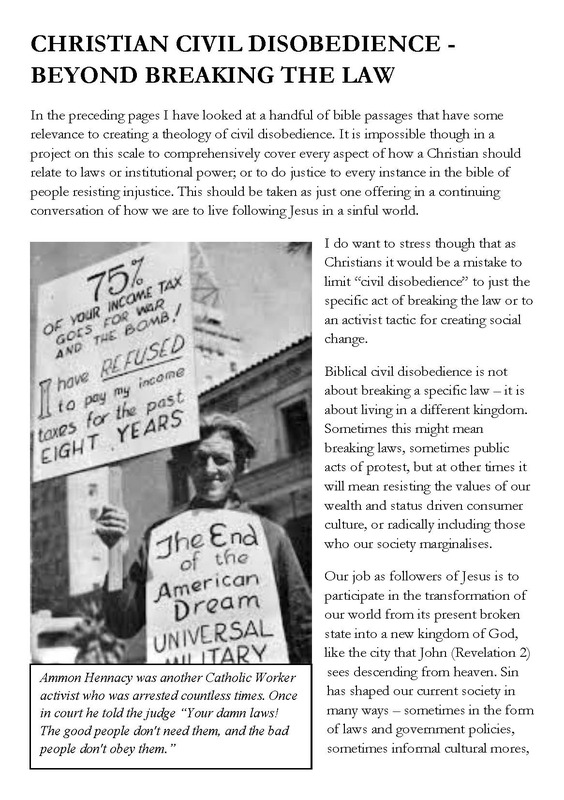 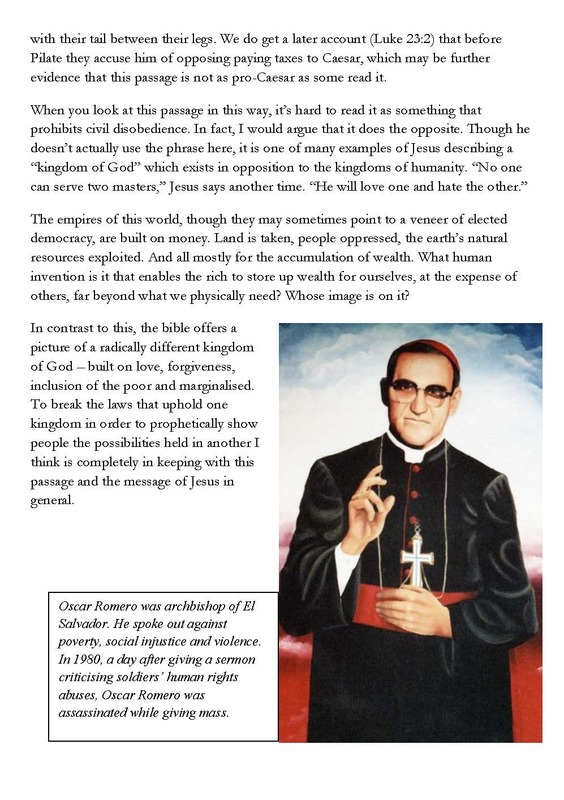 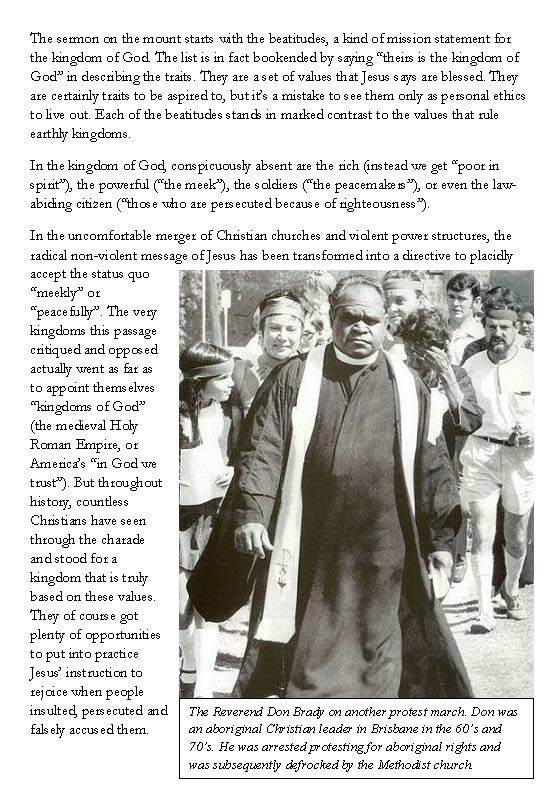 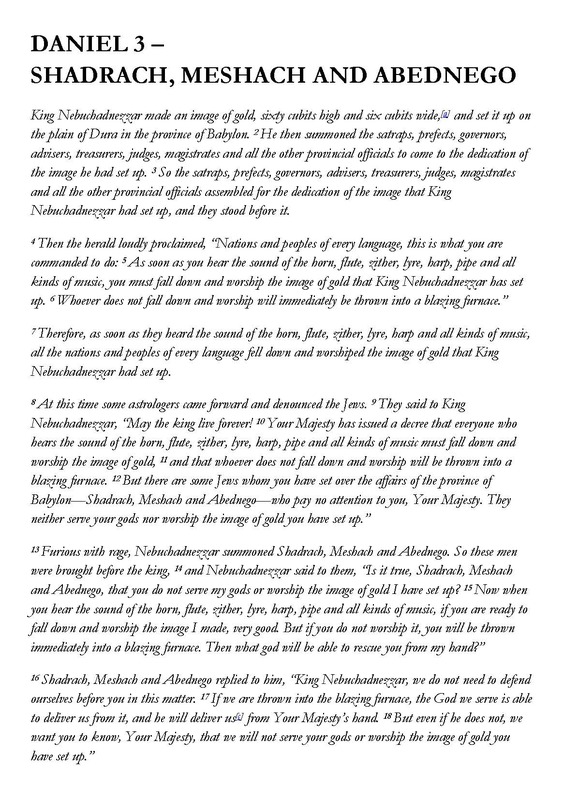 This zine explores civil disobedience through a Christian lens – looking at what the bible has to say about it, along with some of my own experiences and a few examples of Christians through history who have broken the law of the land in trying to live out the kingdom of God. 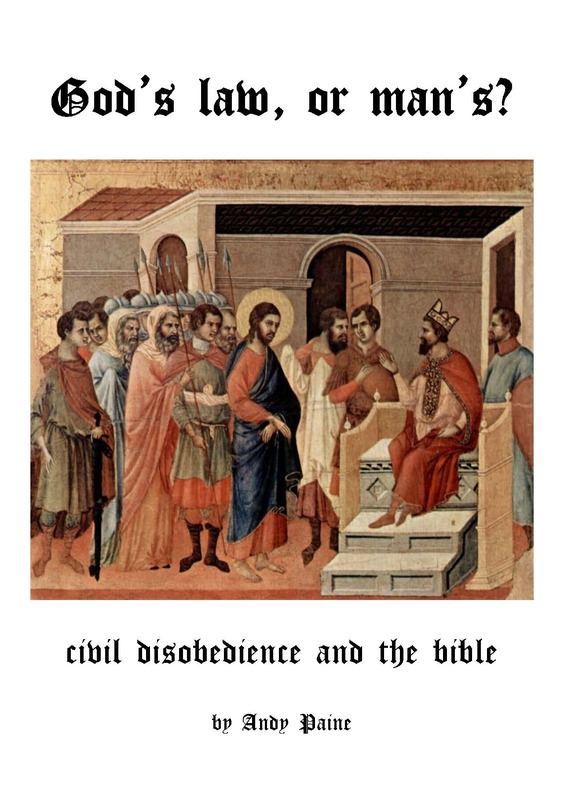 Now I love zines as a medium, but it does seem a shame that after finally finishing this, it now relies on me photocopying and distributing all these little booklets. 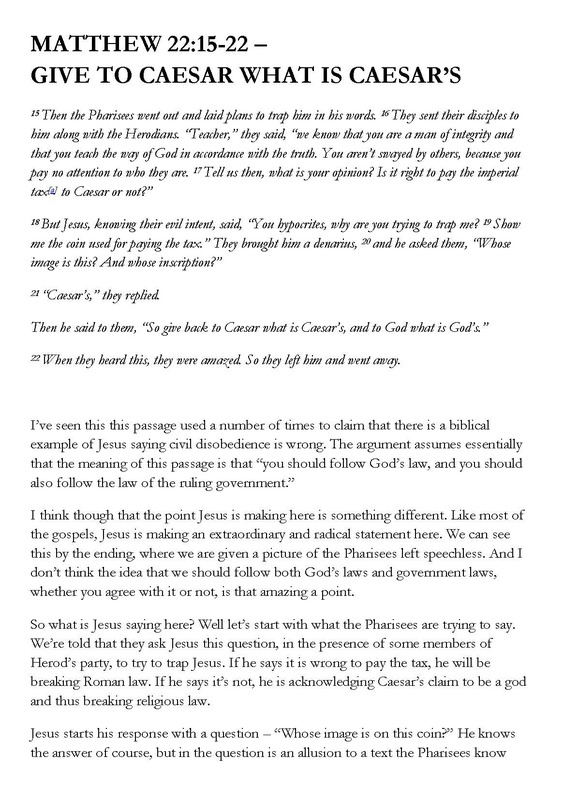 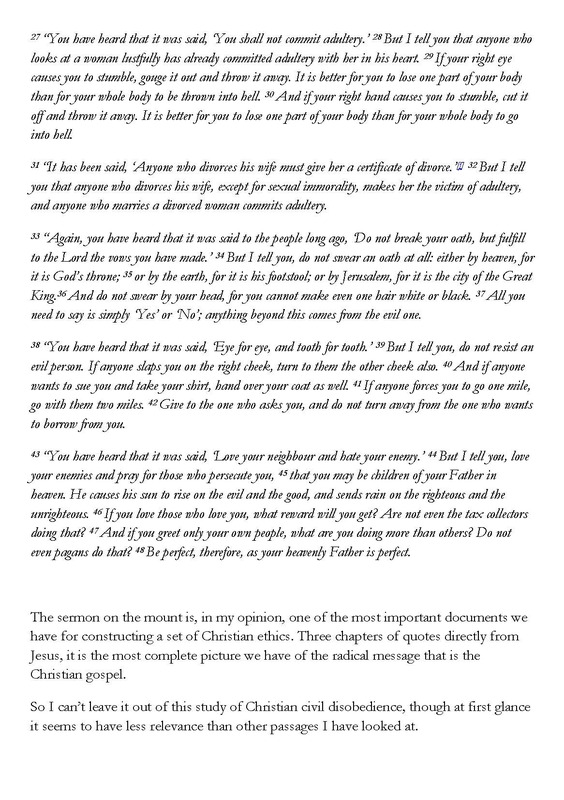 So to make it a bit easier for people to access, I’m putting it up here as as a digital file. 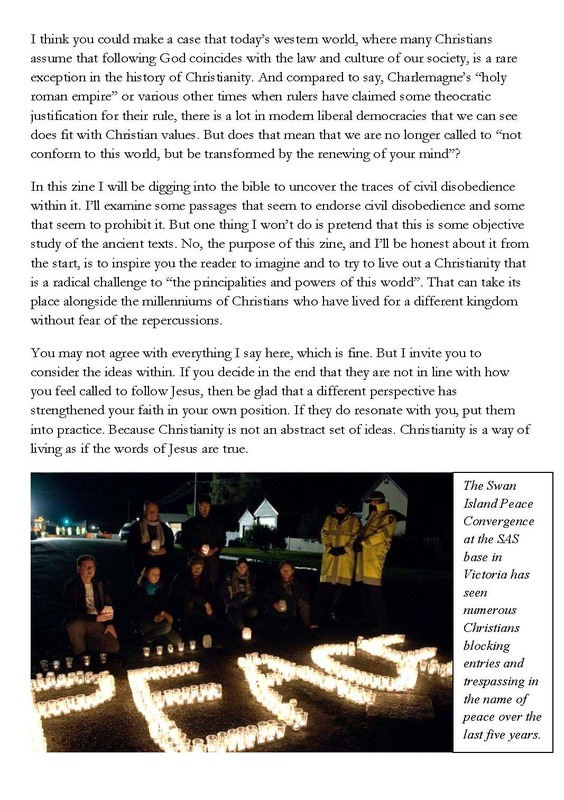 If you would like a paper copy get in contact, or feel free to print and distribute copies yourself!